16 Ft Garden ladder, Tallman makes the best orchard ladders for sale at any price. 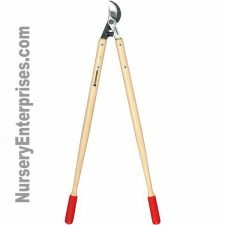 16 ft Fruit Picking/Hedge Cutting Ladders are the specialty for the Tallman Ladder Company. Lighter & better in many ways than Japanese ladders like Hasegawas. 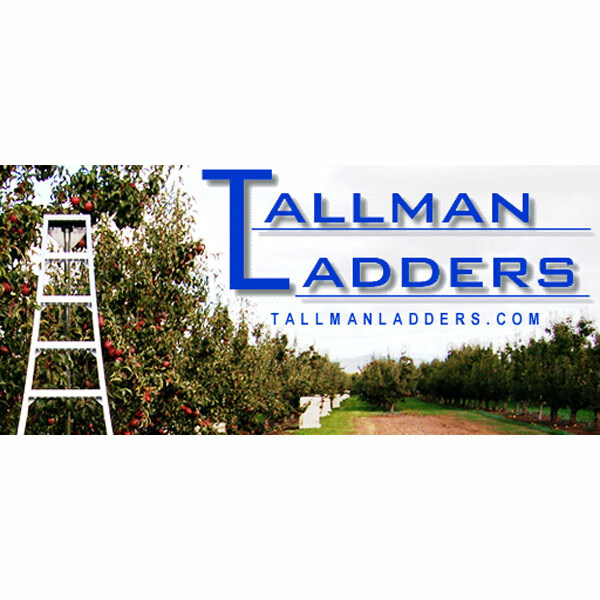 If you are looking for a 16 ft aluminum orchard ladder or a tripod orchard ladder for general landscaping work or for pruning apples or cherries or any other tree, then Tallman Ladders are your best choice. The 16 foot aluminum tripod ladder most preferred by Growers and Workers. 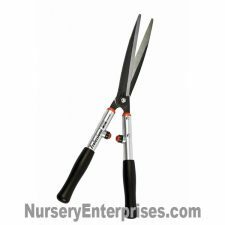 Great for everyday use, but made especially for tree pruning and harvesting in mind. The 16 foot Tallman tripod step ladder is built of lightweight tempered aluminum and designed for ease of handling, longevity, and proven for years of trouble-free service. Each step is braced for maximum safety and uniform flexing on uneven ground, and all parts have been interchangeable since 1954. Parts are readily available in the rare event that you might need one. 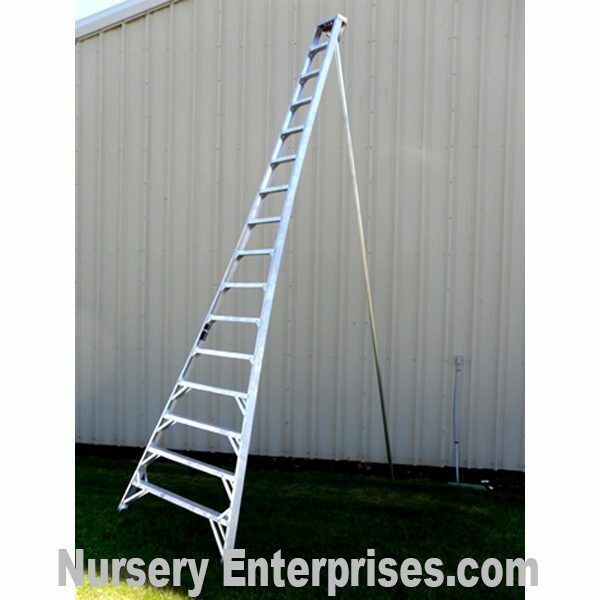 These 16 foot aluminum tripod ladders have earned the reputation as being the best quality and longest lasting orchard ladder on the market, at the most reasonable cost. The 16 foot tripod ladder design is perfectly engineered with the third leg made so that it can be swung out and inserted between tree branches for fruit picking or pruning,…all kinds of projects where you need a ladder on the ground. Normal four legged ladders are just too unstable on uneven soil, but a Tallman Ladder will give you the stability and confidence to safely get the job done. 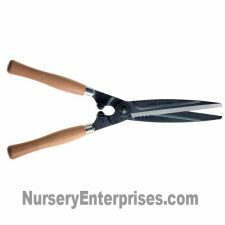 They are crafted from the finest materials and workmanship, and the unique design makes a strong product for years of service. 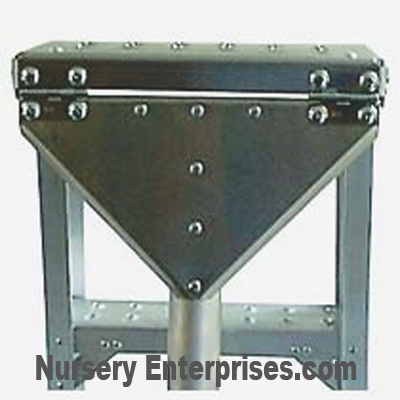 Specially Designed Strong Top Section built with a Rigid Steel Hinge Heavy Duty Tempered 3rd Leg. The specially made quality slip resistant steps, with dimples is built into every step on every ladder. This ladder far exceed my expectations. The quality is first class and the construction is impressive. No rough edges or burrs or rivets not flush. Highly recommend this product. I have never felt safer and now wonder why I have looked at this product for so long and not bought it. Extremely stable and versatile. The feet are like claws which grip the ground outside and prevent slippage.